Calvin first caught a glimpse of Elka when she was featured on Dog-shaming’s Adoptable Fridays. 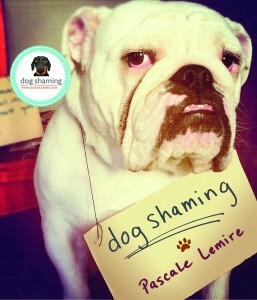 After trying other online dog dating sites like K9 Date and Puppy Mingle, Dog-shaming is where he found his quality mate. 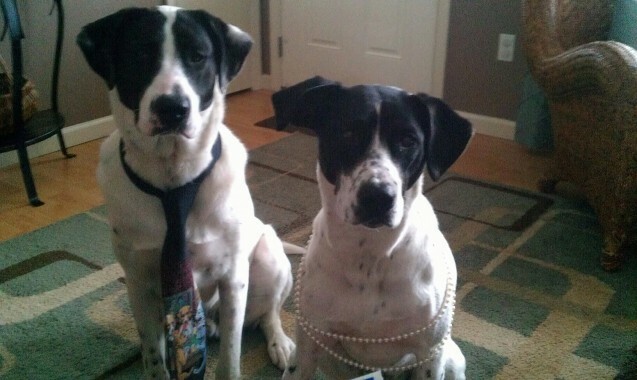 Thank you to Dog-shaming and PointerRescue.org for making this union possible. Posted July 19th, 2013 . Love this. A great looking couple, may they live happily ever after. This is just so darn cute – love it! Reminds me of Maymo and Penny….